How investing in light technology can change our world. This article first appeared in The Conversation and was republished with permission. During these dark winter months, spare a thought for artificial lights. From strings of lights adding holiday cheer to artificial sunlamps alleviating seasonal affective disorder, they brighten our days. And light’s applications can go much further than that. The United Nations designated 2015 as the International Year of Light and Light-Based Technologies to raise awareness of how photonic technologies offer solutions to international challenges. Light technology is now an active area of research in energy, health and agriculture. In the late 1800s, Thomas Edison created a practical light bulb, an electrically-powered, long-lasting light source that significantly changed our work, play and sleep habits. The ability to control light in new ways transformed how we experience and see the world. Light-based technologies such as optical fiber networks allow us to connect rapidly with people worldwide over the internet. Light emitting diodes (LEDs) are now everywhere from consumer electronics like smart phones to light bulbs for home lighting. 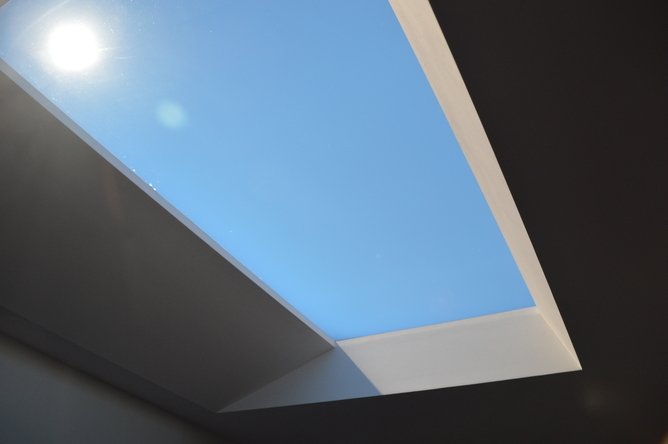 One recent example is the artificial skylight invented by researchers who spent over ten years refining the CoeLux system. This invention, which received Lux Awards 2014 Light Source Innovation of the Year, can fill a room’s ceiling mimicking sunlight from different latitudes, from the equator to northern Europe. The key to its success in replicating a sunny sky uses nanostructured materials to scatter light from LEDs in the same way tiny particles scatter sunlight in the atmosphere – so-called Rayleigh scattering. Funding for this project from the European Commission enabled scientific advances in light management and nanotechnology as well as the completion of a device that may improve quality of life in indoor settings, from hospitals to underground parking garages. Only recently has the full utility of LEDs been realized for general lighting. While red and green LEDs had been in commercial use for more than a decade, the missing color for producing white light was blue. Isamu Akasaki, Hiroshi Amano, and Shuji Nakamura cracked the blue conundrum in the early 1990s. Now, thanks to their work, white light LEDs are ubiquitous. In recognition of this energy-saving invention, they received the Nobel Prize in Physics last year. Light was also recognized in the Nobel Prize category of Chemistry last year for light-based microscopy tools that use a few tricks to sense the presence of a single molecule. Microscopy had been limited by diffraction, where two adjacent objects can only be resolved if they are separated by more than half the wavelength of light used for imaging. But Nobel laureates Eric Betzig, Stefan Hell and W.E. Moerner all took different approaches using similar principles to get beyond the diffraction barrier in order to control the fluorescence of individual molecules to view them in high detail. By turning the light emitted from the molecules on or off, the scientists could reconstruct the location of the molecules at the nanometer scale. Here’s how it works: a fraction of fluorescent molecules or proteins is first excited by a weak light pulse. Then after their emission fades, another subgroup of fluorescent molecules are excited. This cycle of on and off continues, and then the images are processed and superimposed to form a high-resolution map of individual proteins. The ability to peer into the nano-world of living cells to observe, for example, how proteins aggregate in the earliest stages of diseases like Alzheimer’s and Huntington’s, has just begun. Understanding disease progression at the single-molecule level could help identify when early intervention might be advantageous. Light is a unifying science across fields like chemistry and physics, improving our lives and the world. But learning how to manipulate light is costly and takes time. Technologies are largely built on investments in basic science research as well as, of course, serendipity and circumstantial opportunities. Take LEDs for example. 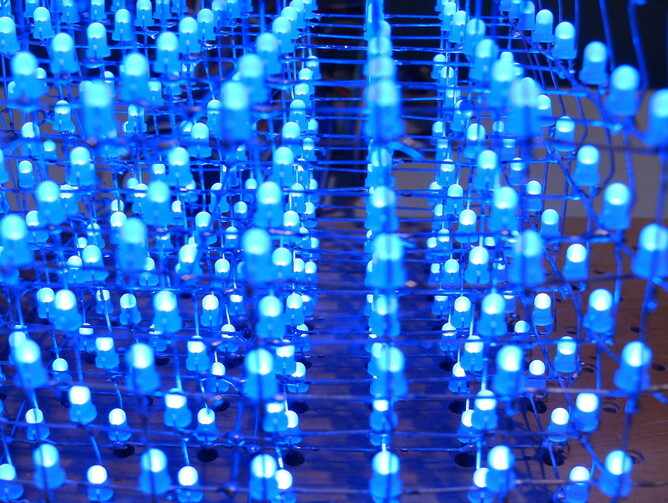 Research in blue LEDs started more than 40 years ago at Radio Corporation of America, but changes in the company’s funding structure stymied their development for two decades — until last year’s Nobel Prize winners solved the materials problem and the scale-up process. Continued and sustained support of fundamental research is critical for future technologies not yet imagined or seen but that could have a transformative impact on our daily lives. For example, in agriculture, more effective harvesting of solar energy and its conversion into heat via greenhouses could enable year-round production as well as access to crops not currently available in certain climates. In my own work as a chemistry researcher, my group invented a laser the size of a virus particle, which should not be possible based on traditional ways to control light but is, thanks to metal nanoparticles that can squeeze light into small volumes. These tiny lasers are promising light sources that can be used to send and receive data with high bandwidths as well as to detect trace molecules or bio-agents. Construction of our nano-laser required precise control over the shape and location of the adjacent gold nanoparticles. That such nanostructures could even be made is because of the decades-long investment by the electronics industry in developing nanofabrication tools to make the tiny components in computers. Investments in both fundamentals and applications are critical, as has been highlighted by last year’s Nobel Prizes in Chemistry and Physics. The UN’s designation of this International Year of Light will spotlight the potentials of these kinds of innovations and the need to continue investing in future technologies. From new ways to shake off those winter blues to manipulating light in small spaces, the trajectory for artificial light is bright indeed.